Security and data requirements in ag tech are looking remarkably similar to automotive applications. Data from dirt — literally — is enabling farmers to perform detailed analysis to make their farming practices smarter, more efficient, and significantly more productive. 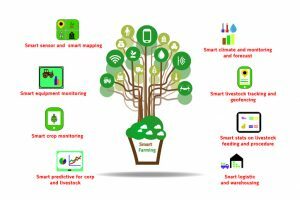 Some of these smart agriculture investments include farm management software from Google Ventures, Andreessen Horowitz, and Y Combinator. Kleiner, Perkins, Caufield & Byers (KPCB) and Qualcomm Ventures are investing in precision agriculture and predictive analytics. Y Combinator, Google Ventures, Monsanto Growth Ventures, and KPCB Edge are investing in robotics and drones. And KPCB, Verizon Communications, and SparkLabs are pouring money into sensors. On the technology side, leveraging data goes along with the journey to constantly update the embedded systems of agricultural equipment, said Julian Sanchez, director of John Deere’s Technology Innovation Center. John Deere, the world largest agricultural equipment supplier, has been on a quest over the past decade to update and upgrade its systems for autonomous operation, as well as improving the embedded systems within its vehicles. In fact, the company is in the process of making the switch to AUTOSAR. Security is taken just as seriously in agricultural circles as it is everywhere else. 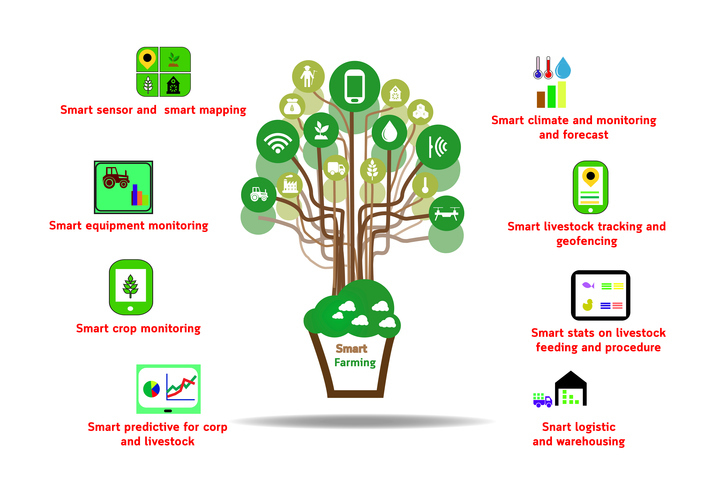 Agriculture is big business, and Ag IoT and Ag Tech generate valuable data. In fact, he said the company has an entire organization focused on security, using approved standard practices such as trying to hack into its own system to make sure weak spots are detected in the systems. What is being protected in a secure manner is the data about the equipment itself, along with the agronomic information. Specifically, Case’s AFS Connect technology connects to the vehicle with a modem that has telematics which collects both vehicle and agronomic data. Here, a key consideration is making sure the customer owns and controls their data. If the farmer chooses, an agreement can be signed with their independent dealer that allows the dealer to optimize the machine functionality. There can be a similar arrangement for the agronomic data that includes the yield, moisture, and other planting data, and that can to be passed to a third-party provider such as an agronomist that’s going to make a variable-rate prescription for the field, a seed prescription or maybe a variable-rate pesticide or herbicide application, Bose said. This trend is only expected to increase. “When you look at sensing and perception technology, the sensing technology today as we see it is going to evolve. When you look at a piece of tillage equipment or a planter, the number of sensors that we’re able to feed back into that tractor cab or combine cab and the processors that are going to need to take in that data — that will explode over the next 5 to 10 to 15 years,” Bose added. With so much activity in the automotive space for connectivity and connected cars, it’s easy to miss the pull-through into other application areas such as agricultural application. But at the root of all of this technology is an emphasis on connectivity and multiple levels of communication. Avinash Ghirnikar, director of technical marketing for the Connectivity Business Group at Marvell, said there are many such use cases that leverage some of the work done for automotive, including earth-moving equipment and agricultural equipment, where a level of software customization can help significantly. Farmers are looking for the same kind of connectivity as other industrial operations, with everything from WiFi and Bluetooth all the way up to 5G. Whether a person is actually driving a tractor, or the tractor is being driven remotely or autonomously, that kind of connectivity will be an increasing requirement, and it will have to be secure, reliable, and fast enough to get the job done. Agriculture has become increasingly high-tech, and this industry is emerging as one of the leaders in using a variety of technologies to increase profit margins and yield. From harvesting robots to tractors without cabs, autonomy has already reached the agricultural industry. Applying technology to a very well established industry is picking up steam. Total private funding was more than $1.35B in 2H 2017, but investors also are showing more caution about where they put their money.